Inspired By #1; Cinderella Story. Last weekend I was watching Cinderella Story, possibly on my top 5 favourite films to watch. 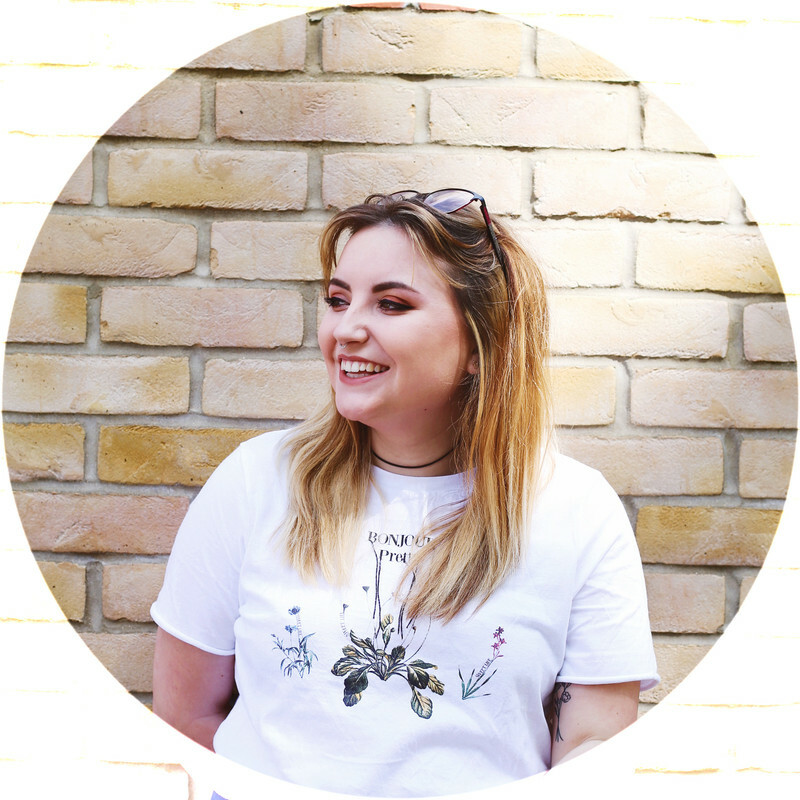 The same weekend I spotted some clothing which I thought would perfectly resemble the 'everyday cinderella', this then inspired a series of posts; so every friday keep an eye out for my 'Inspired By' posts. I concentrated mainly on the 'diner girl' aspect of the film, with this I've created two different outfits from one look! 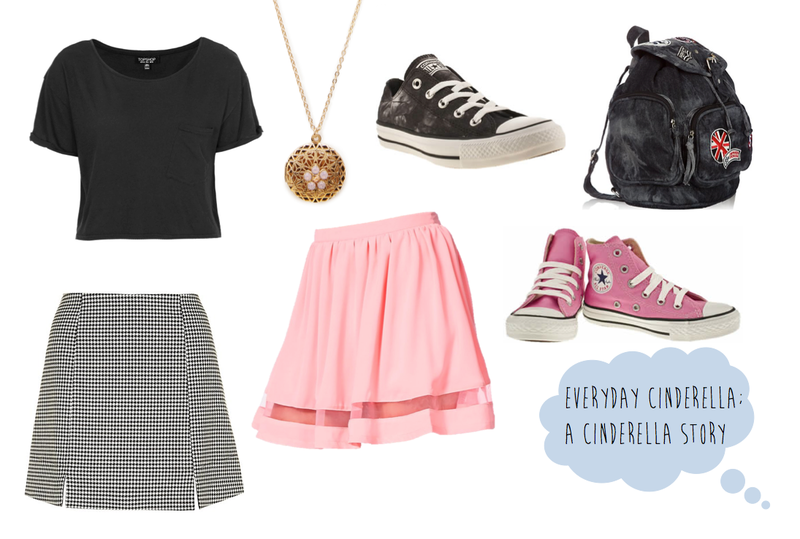 Crop tops are always perfect to wear with a high-waisted skirts, and when I spotted the pink one in store a few weeks ago I knew it would be perfect for a cinderella themed outfit. Throughout the film as part of the diner's outfit was houndstooth trousers, so the same design as a skirt make creates an basic everyday outfit which could be worn as someones work outfit! The converse were an iconic outfit choice throughout this film & the main focus point with the films cover & posters, especially pink high-top…plus converse help make any outfit comfortable in my opinion (every time I watch this film I'm tempted to treat myself to a pink pair). The backpack I found adorable and thought fitted either outfit & the locket as a nice finishing touch adding a little more colour to both outfit ideas. Some simple outfit ideas which if I had all these items I know I'd be wearing myself. I hope you liked this posts and I'd love to hear some suggestions for more like this! The Cinderella Story is such a classic film! I love the skirt, it's so cute! I love Converse as well, mine are starting to get a bit tatty though!